All the bells and whistles are included of course. Keyless Entry, Keyless Start, Dynamic Cruise Control, Power Steering,Tilt & Telescoping Wheel, Bang & Olufsen Sound,Satellite Feature, Navigation System, Bluetooth Wireless, BMW Assist, Parking Sensors, F & R Sensors, Back Up Camera, Moon Roof, Premium Wheels and a lot more! This BMW is a beautiful car inside and out call us today we will be glad to answer any questions you might have about this luxury sport sedan. 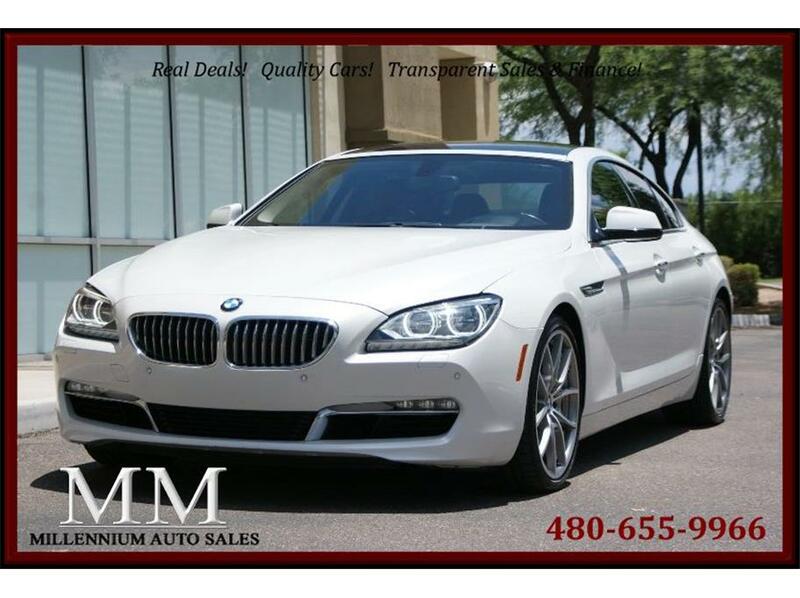 With an original MSRP just over $90k this Grand Coupe is a great deal! Check out our online reviews!! Millennium Auto Sales not only offers the best car deals but the best service. Call, text, email or stop into our dealership to set up a time that works for you to buy a car.